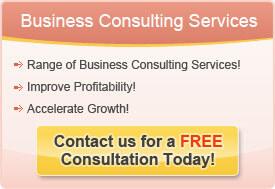 What Does an Effective Business Consultant Do? They make your business think at a higher level. They make you aware of issues that you previously you were not focused on. Good business consultants have a wealth of experiences to draw on. These far ranging experiences provide valuable expertise that they bring to their clients. The best business consultants can immediately recognize weaknesses or gaps at a company, and suggest corrective actions. Most importantly, the best business consultants measure their success through the success of their client. They work within the organization to bring about positive change, while simultaneously bringing fresh new ideas and resources from the outside. Organizations have a finite ability to absorb change. Some can absorb rapid change while others are resistant to any change. Through calibrating their action plan properly, business consultants can bring about important change in an enduring way. 1. How long have they been consulting? 2. How varied is their background? 3. How strong are their client relationships? These things differentiate the truly great business consultants.